These A5 presentation folders have just been printed and designed at our Pembrokeshire studio in Pembroke Dock. The folders were printed on heavy duty 450gsm silk art card to give it...	Read more.. This lovely Pembrokeshire pavement sign was printed and designed at our Pembroke Dock Studio for The Tenby Market Cafe. The owner was so pleased with it she posted the following...	Read more..
International dispute resolution company ADR-ODR Ltd based in Lincolns Inn, London were delighted with the new certificates our designers created and printed for them. In fact they sent us the...	Read more.. The Begelly Arms have chosen to use Modern Print & Design to create their new Pembrokeshire website! This 8 page website will feature a blog being fed with articles directly from...	Read more..
What a start to 2018. We have taken two excellent weeks worth on work in 5 days! What's more, there are 3 web design consolations arranged for next week already. 2018 is...	Read more..
Well here it is, the new studio floor has been laid. What is more, the heavy duty tiles used have a 25 year life so we should not have to...	Read more.. The new floor is going down in the graphic design studio. That once in 25 year day! Last week Trevor repaired the soft and broken patches in the old chipboard floor...	Read more..
Gold foil block printing is not a very common printing process, however, it is something that we at Modern Print & Design can provide in Pembrokeshire. The business cards opposite were...	Read more.. 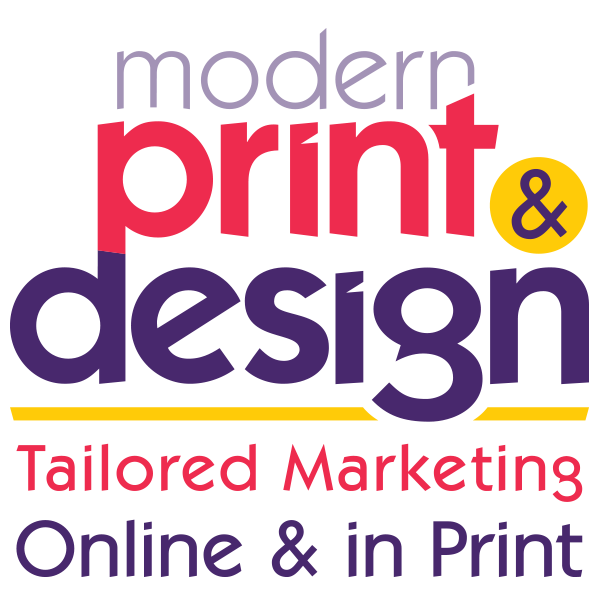 The new Modern Print & Design 2018 calendar has just been printed ready to distribute free of charge to businesses in Pembrokeshire. If you would like one then please pop into...	Read more..
Gwylan asked our Pembrokeshire website designers to restyle their website home page to make it more dynamic and interactive. The design brief was to remodel it in a way that...	Read more..
Increasingly small cafe's and restaurants are looking for short run menu printers in Pembrokeshire to design and produce there menus in small quantity's. The reason for this is that they...	Read more.. Traditional bookbinding with real leather lined covers is a artisan skill that makes a cherished document rely stand out from the crowd. For that reason we were delighted to be able...	Read more.. Here are 9 Common SEO mistakes to avoid - Keyword stuffing This is when you put too meany keywords in the meta tags or content of the webpage to try and climb...	Read more..
Now available is a large rage of Christmas cards that can be personalised with your message and brand logo. This saves you from having to write out every card yourself....	Read more..
DL is a specific size used for envelopes and not leaflets. It is 220mm x 110mm. What some printers and designers nearly always mean when they say DL is actually 1/3...	Read more.. Using too many colours is usually bad for your website. It creates confusion and when you really over do it with colours, you can end up in a pickle. However,...	Read more.. Your calendar is basically an advising poster that your customer puts up on their office wall for 12 months. It really is a brilliant advert that wins you business. At Modern...	Read more.. The way Google+ works for businesses has changed; it's been split into two separate parts called Google My Business & Google Brand Pages. Google Brand Pages These are Google business pages for...	Read more..